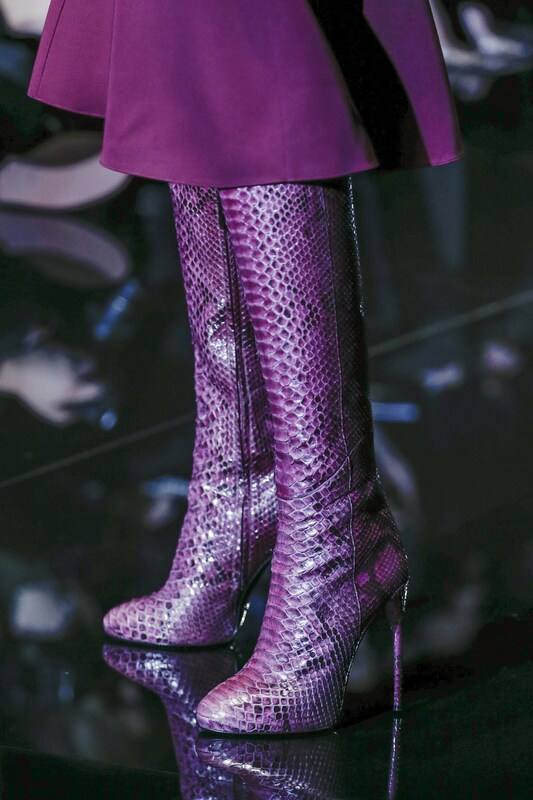 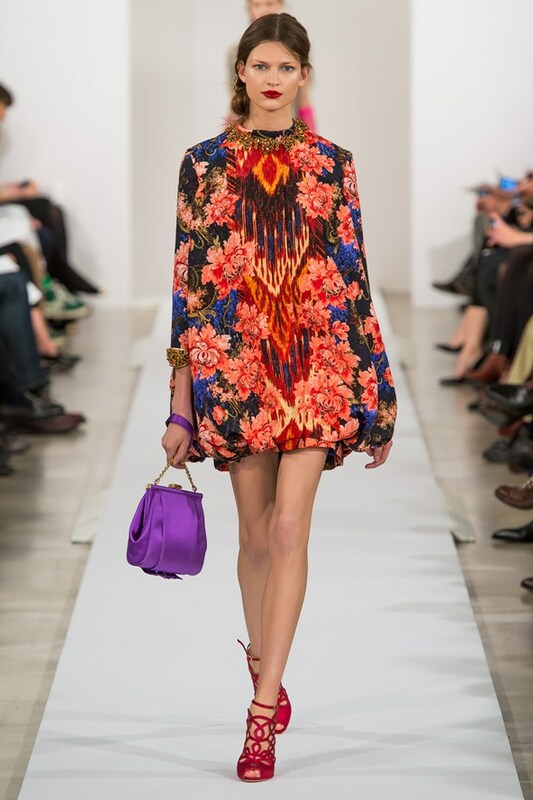 Looking at Oscar de la Renta’s fall 2013 runway you could guess that John Galliano was in the house. 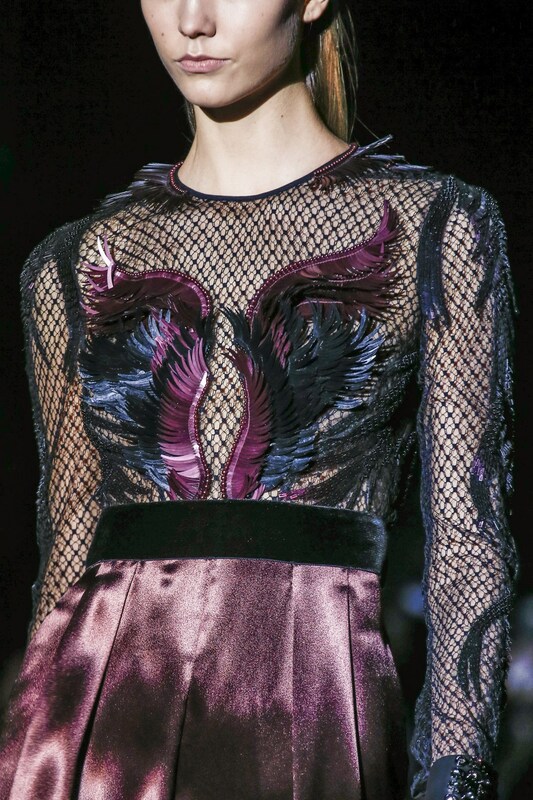 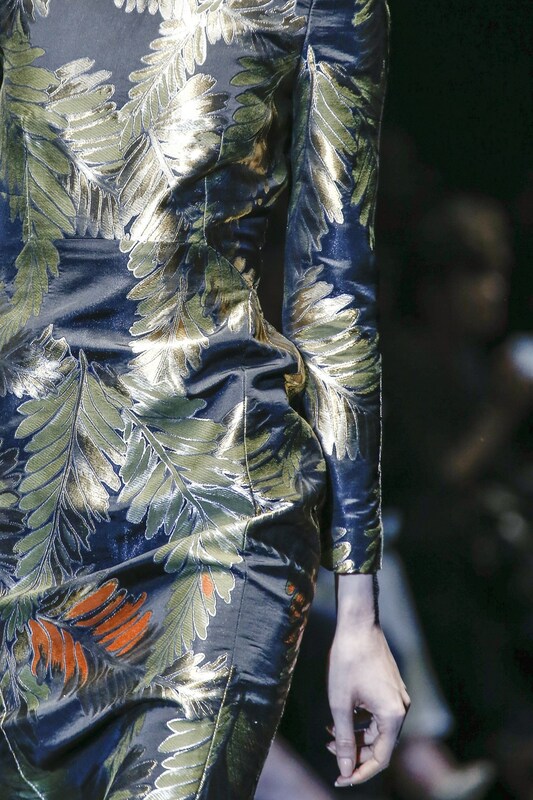 Oscar still ruled though with his use of colour, the amazing detail and overall femininity. 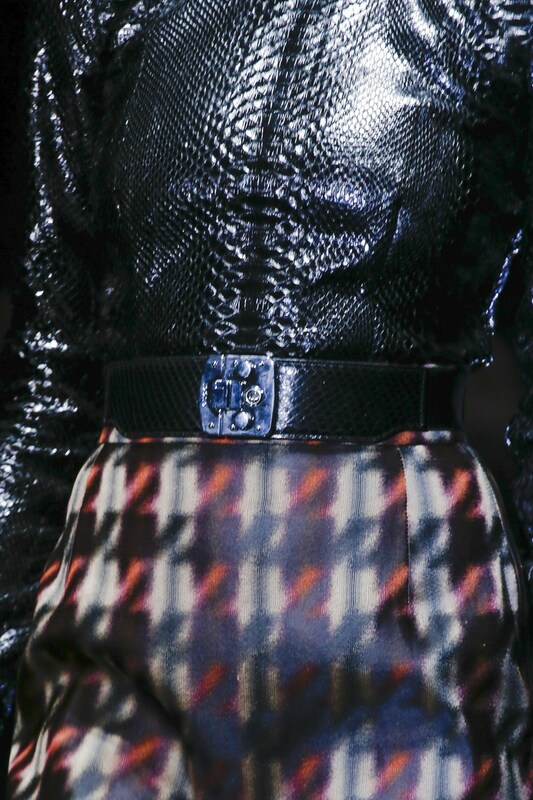 Some pieces in the collection did seem more like vintage ODLR. 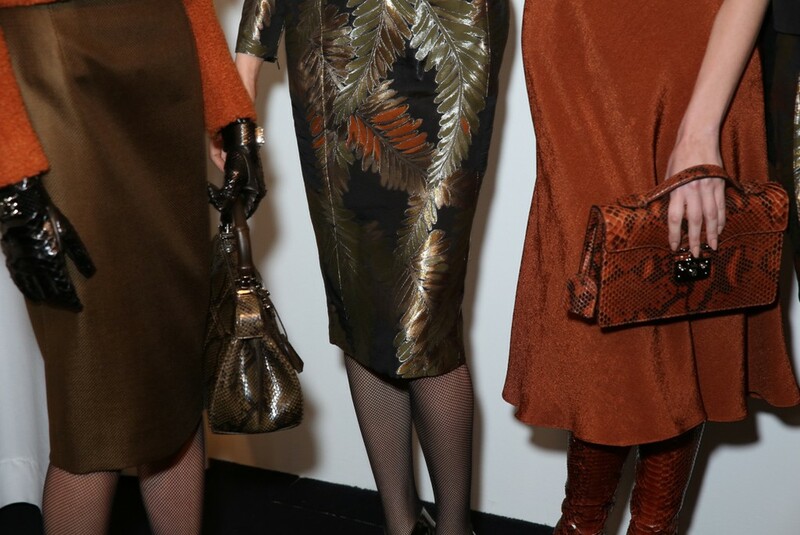 The 80-year-old will mark his 50th year of designing clothes in New York in 2013. 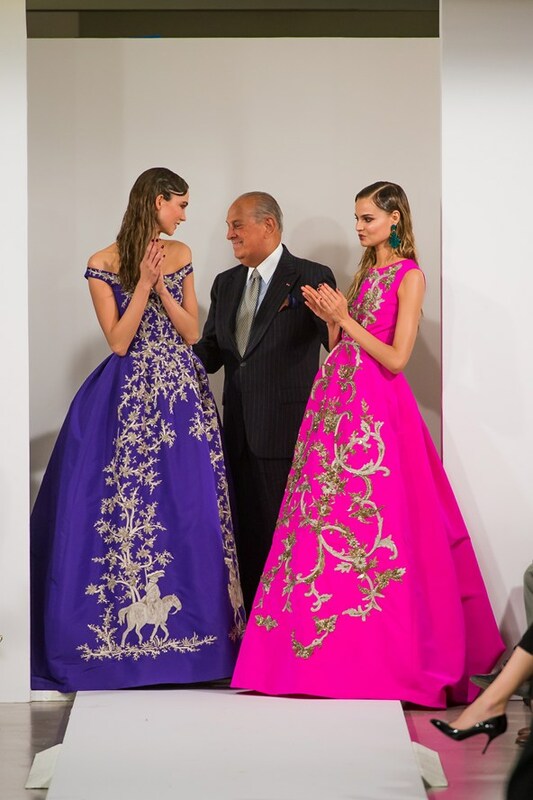 Nothing last season came close to the wow factor of the two grand silk faille ball gowns in shocking pink and mulberry with intricate gold bullion embroidery that closed the show.